Lil Baby got a big tour lined up for this Spring. 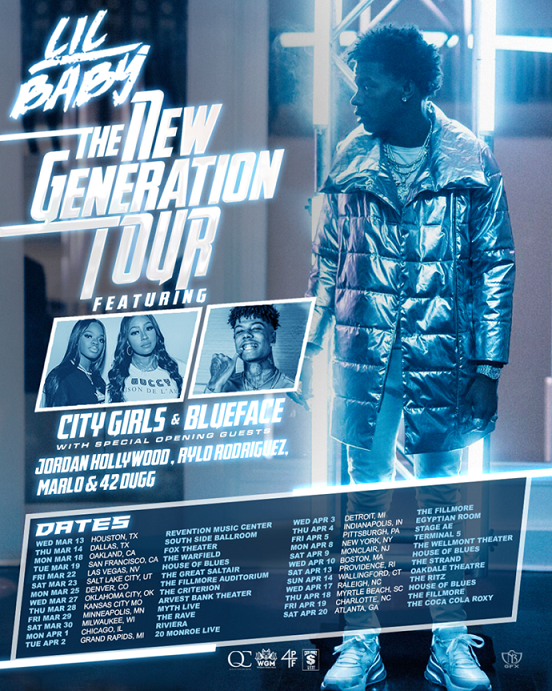 Kicking off in March he will be taking label mates City Girls as well as Blueface, Jordan Hollywood, Rylo Rodriguez and 42Dugg on the road. Check out the dates below.